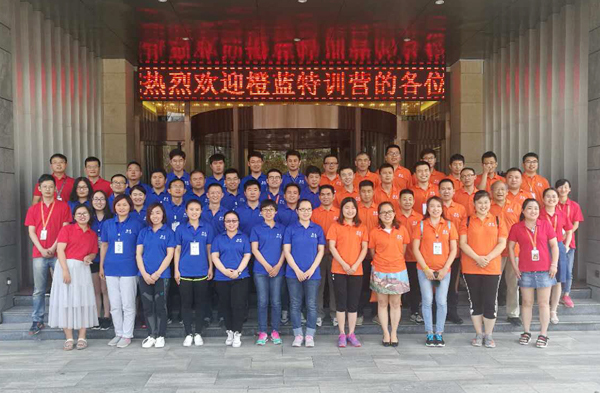 June 16, the high-end training course of Alibaba Chenglan Training Camp was opened in Yanzhou Yong Hua Shun Geng Inerenational Hotel, Deputy general manager of China Transport Group cross-border e-commerce company, Zhang Wen attended the training on behalf of the Group. The goal of this three day training course is to improve the overall quality and management level of foreign trade enterprise managers. At the meeting, Alibaba special training experts exchanged with everyone in aspect of cross-border e-commerce development trend, foreign trade enterprises recruitment strategy, management of a new foreign trade team, team culture building and personnel training etc. wonderful curriculum content and lively classroom atmosphere got a warm welcome from all the students. General Zhang of the Group also actively participate in the exchange and interaction, shared her experience learned from foreign trade practice and the outstanding development that China Transport Group achieved since the Group carried out e-commerce and cross-border e-commerce business, which won unanimous praise from the students and Alibaba special training experts, also remarkably promoted the corporate image of China Transport Group! General Zhang said, the training camp benefit me a lot, not only let us further clarify the cross-border e-commerce developing trend, but also let us understand the situation and clear the developing direction of foreign trade enterprises through our in-depth exchange with many experts and scholars. Through this training, hope to better improve the overall operation level of our cross-border trade business and make the development of China Transport Group cross-border e-commerce business to a new level!